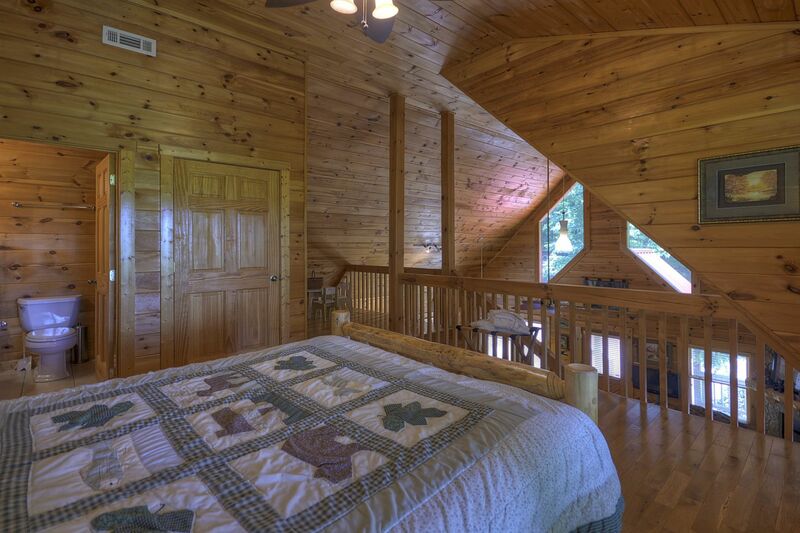 Beautifully decorated 2 bedroom cabin rental has two main bedrooms and one spacious sleeping loft with private balcony. 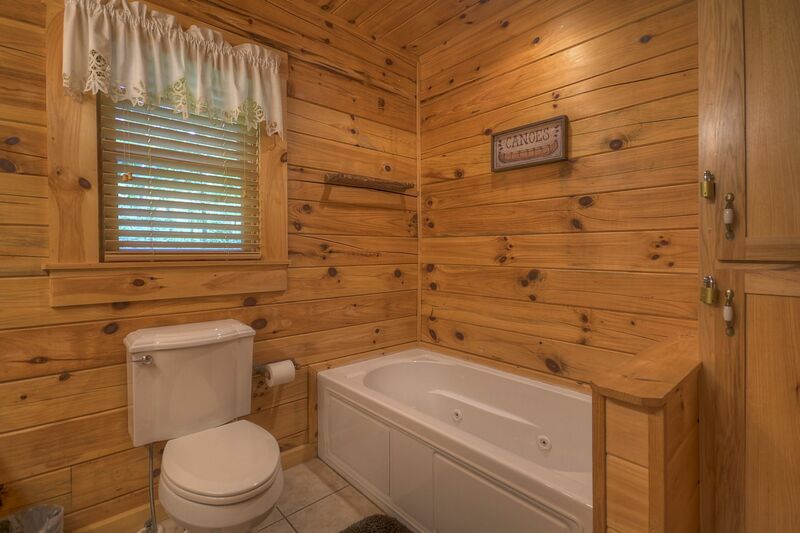 Each sleeping area has its own bath. 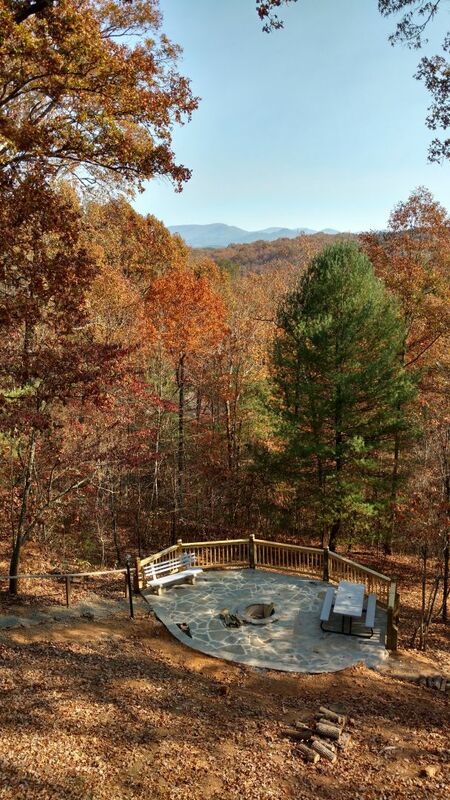 A newly remodeled fire pit is the perfect place to unwind after a long day of rafting, hiking, or biking. 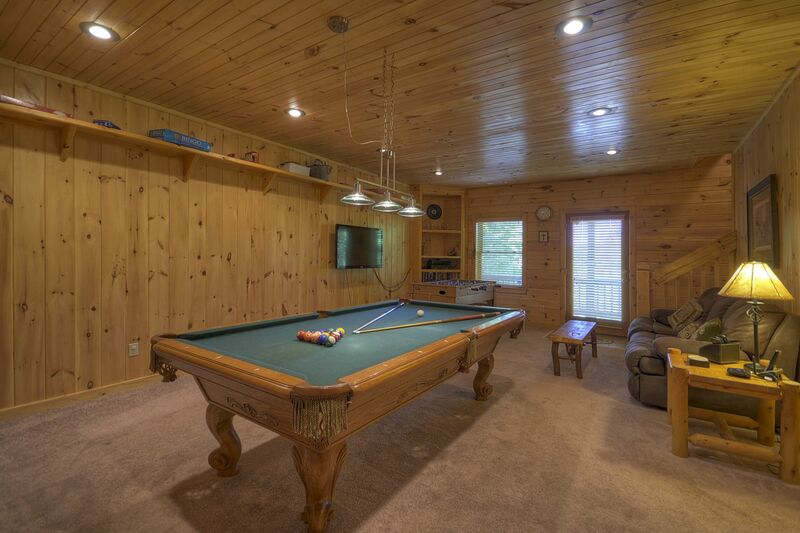 When you're simply hanging out inside your cabin, enjoy the game room with pool table, foosball and board games. 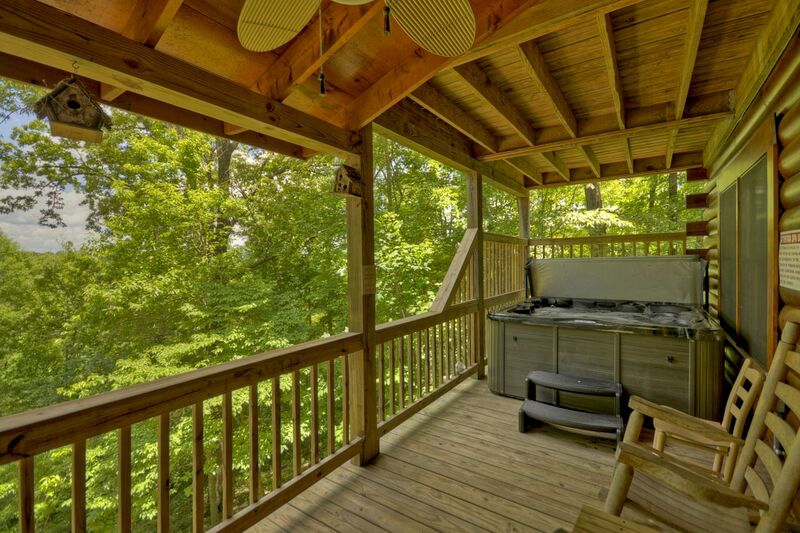 And, the hot tub has a nice scenic view overlooking the mountains. 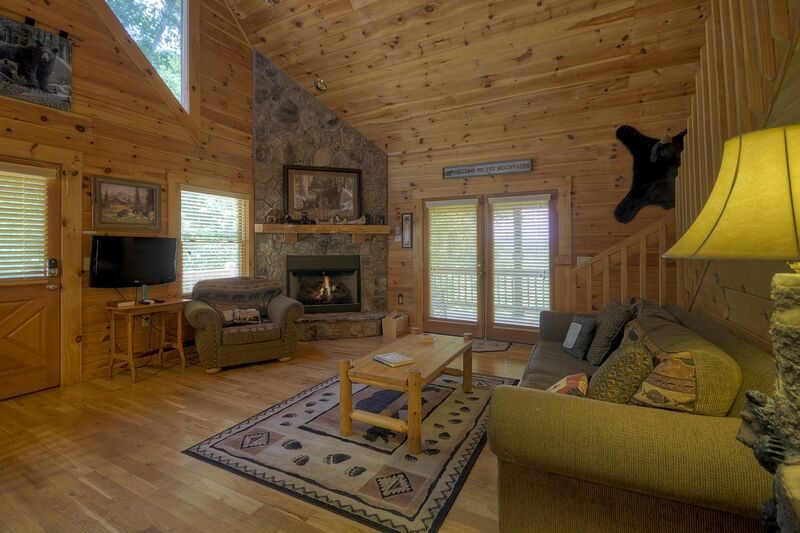 There are two TVs in this vacation cabin rental, one 46' HDTV, and one 32' TV along with a DVD player, VCR a small DVD library. 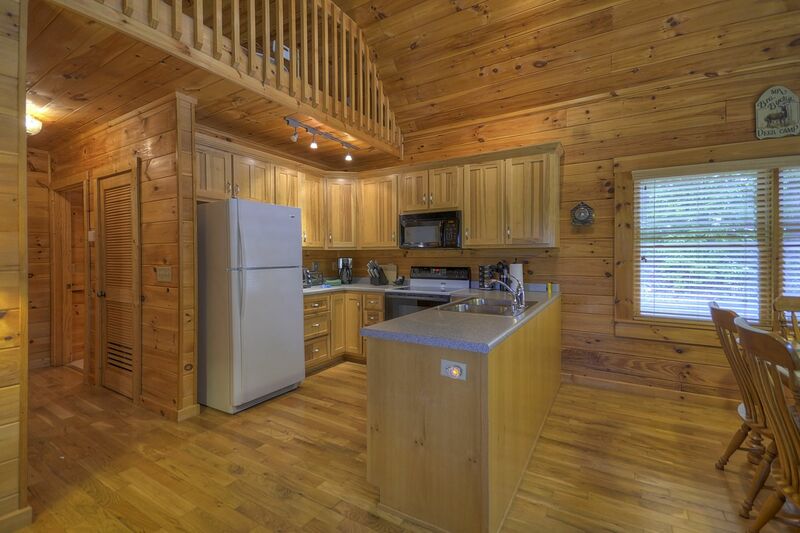 You will love the stocked kitchen for preparing your favorite recipes or casual dining. 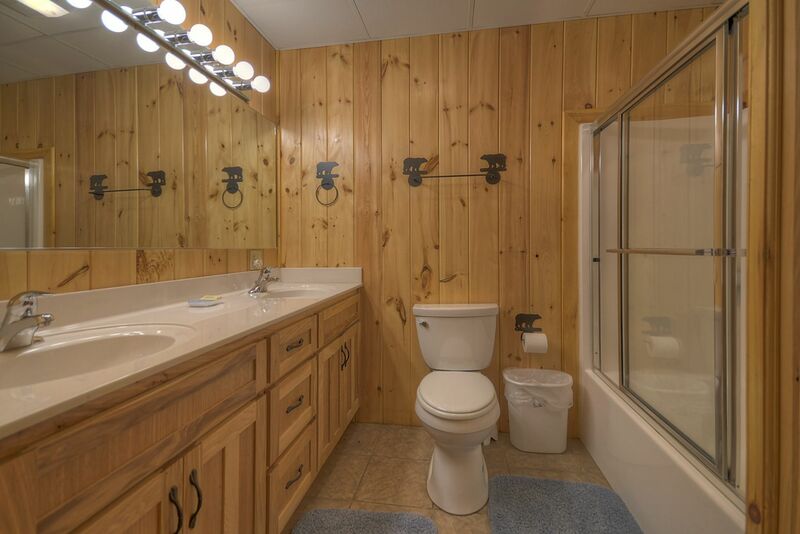 At the end of your day, share your valuable vacation time around the private outdoor fire pit roasting hotdogs or marshmallows with family and friends, watch TV by the cozy stone fireplace on the mail level or relax in the indoor Jacuzzi tub. 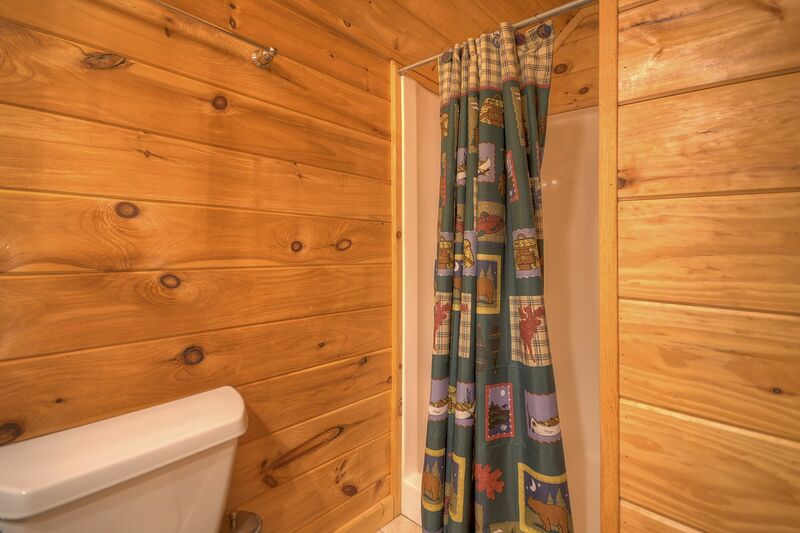 You may just want to enjoy the serenity of listening to the rushing creek while viewing the mountains or catching a glimpse of the local wildlife from one of the three balcony this unique cabin has to offer. - Walk the three mile loop of local roads, viewing nature and the water rushing in Fightingtown Creek. 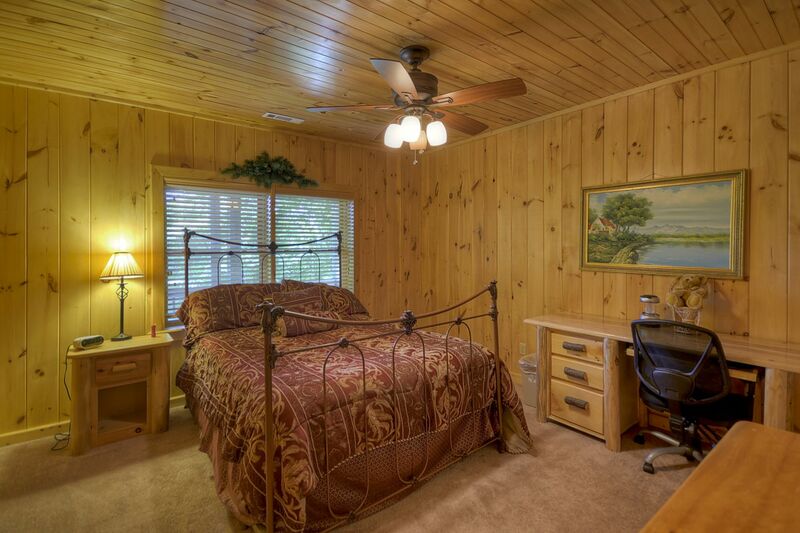 - Welcome the cool waters of the Toccoa River five minutes away. 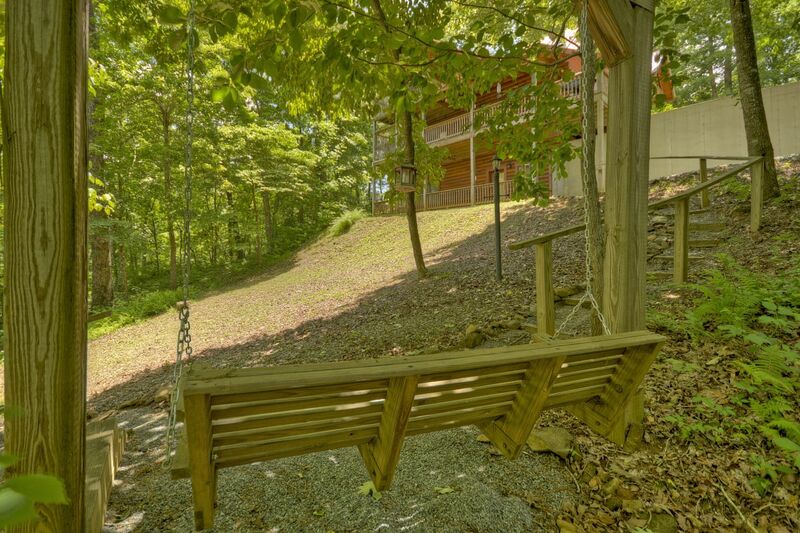 - Catch the round trip Blue Ridge Railway in the town of Blue Ridge 15 minutes from your front door. - Stop at the renowned Mercier Orchards outside of Blue Ridge where an abundance of fruits, pastries, and gifts are irresistible. - Experience horseback riding. 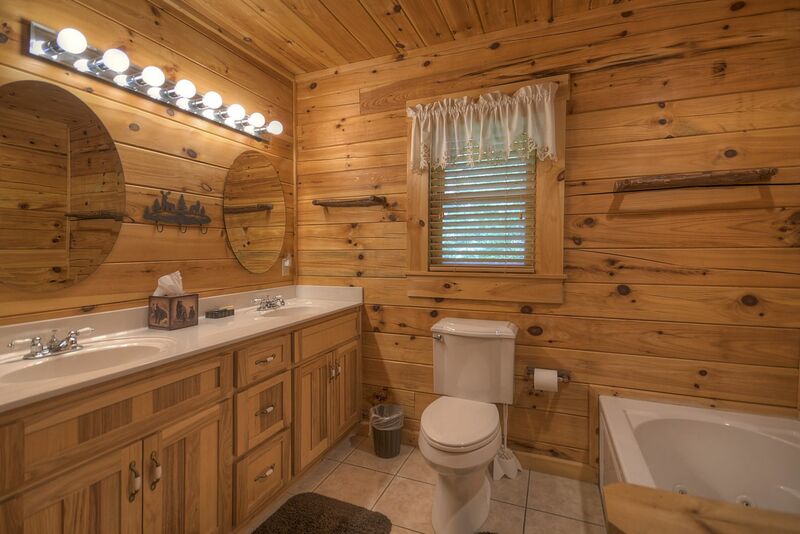 Stables are 10 minutes from the cabin. 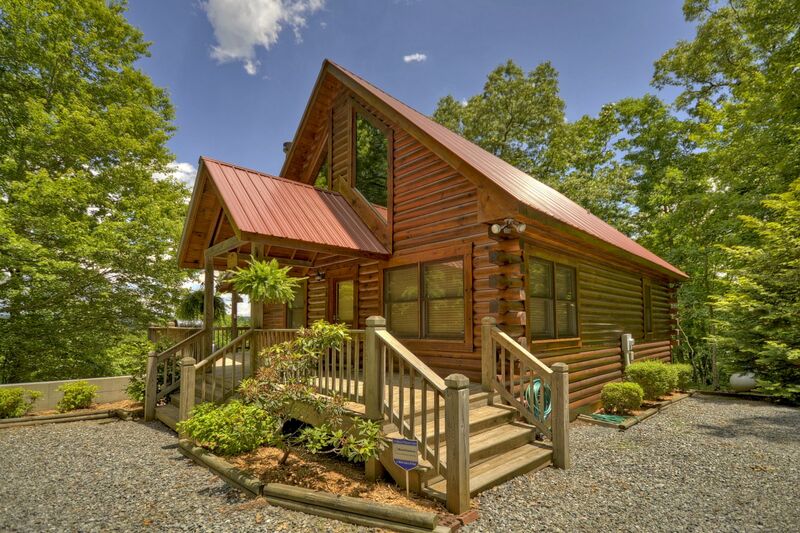 ascends 21 miles into the deeply forested back country of Tennessee then winds up to 5,400 foot mountains for 15 miles into North Carolina. The Skyway is a favorite trail for motorcycle and sports car enthusiasts with its long sweeping corners, scenic views, waterfalls along its path, and cool breezes. Remember to stop at the spectacular Bald River Falls. 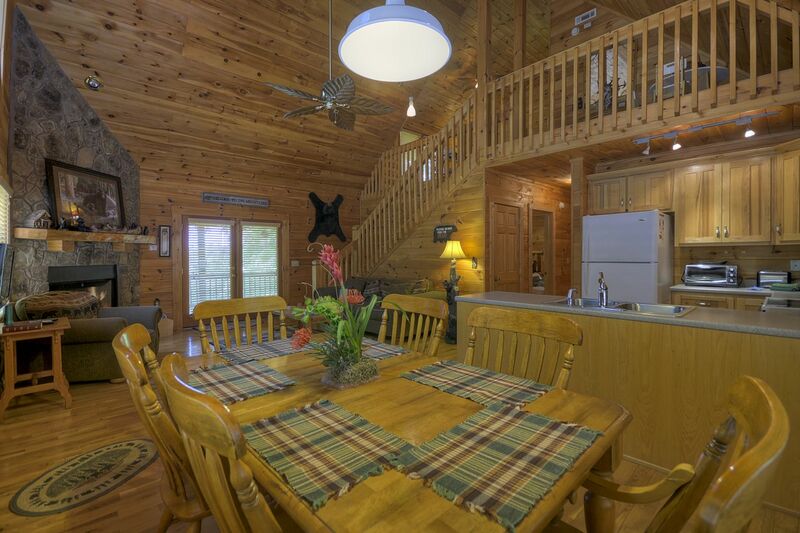 - Enjoy an exciting half or full day of rafting on the Ocoee River or more relaxing kayaking or tubing trip on the Toccoa River just 5 minutes from the cabin. 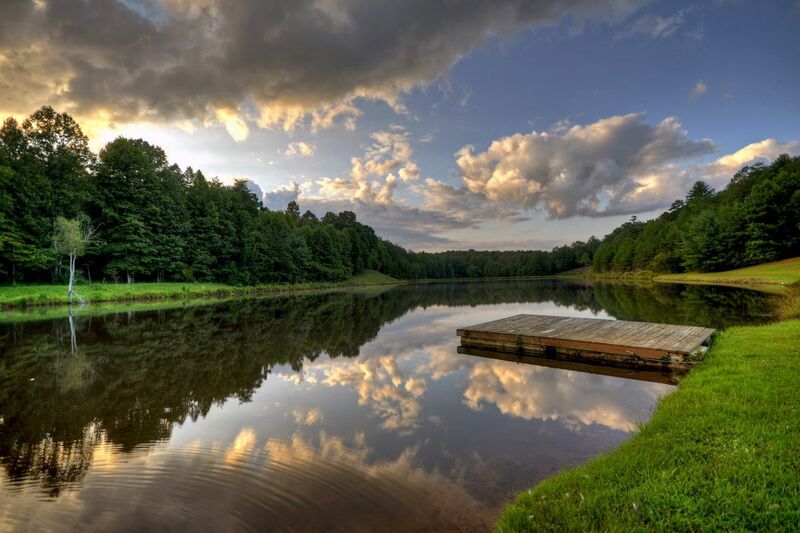 - Hike one of the 14 trails covering over 95 miles of the Cohutta Wilderness area. These trails can be accessed from Highway 2 about 15 minutes from your cabin. 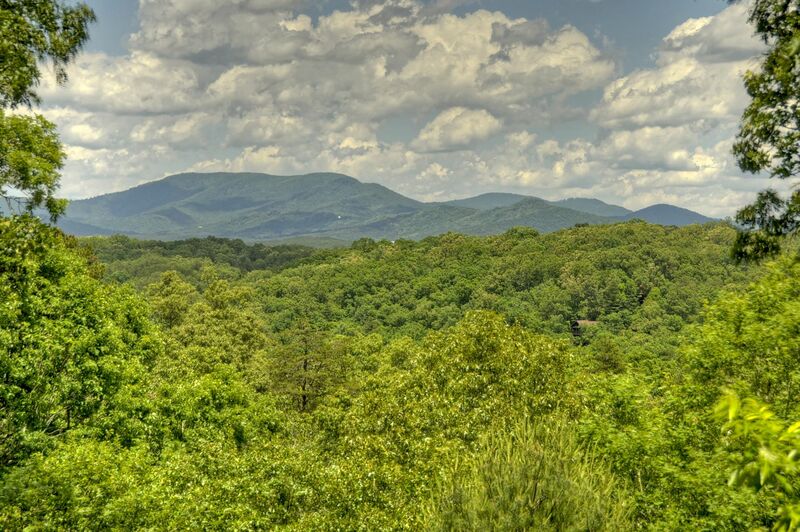 - Both the majestic Bald Mountain and Amicalola Falls are equally one hour from the cabin. Walk 3 mile loop of local roads, viewing nature and rushing waters of Fightingtown Creek! 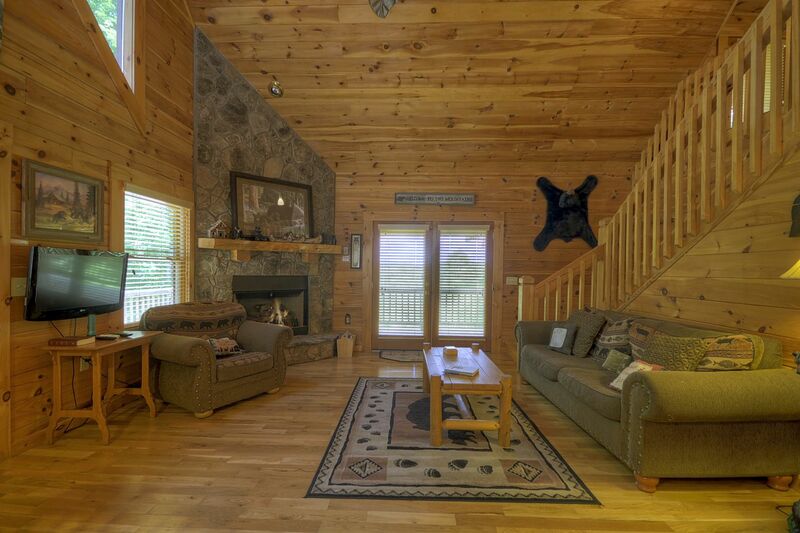 We stayed at Bear Ridge Hideaway and it was wonderful. 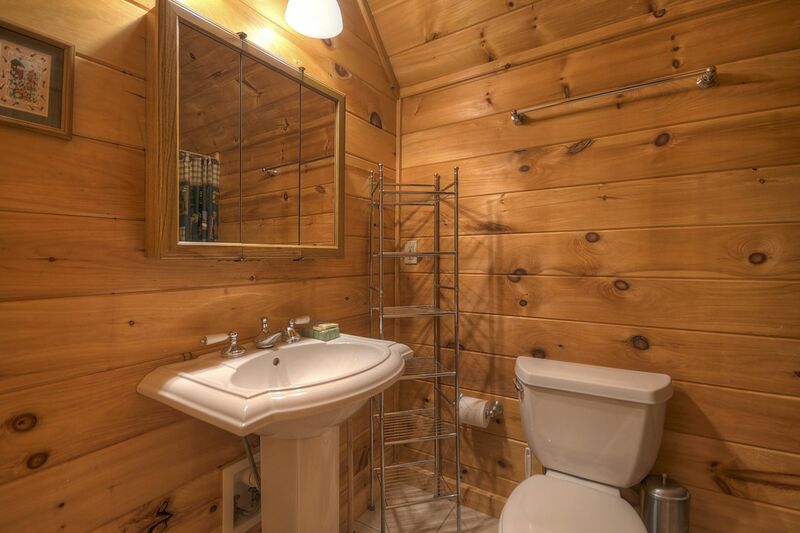 Clean, well maintained. 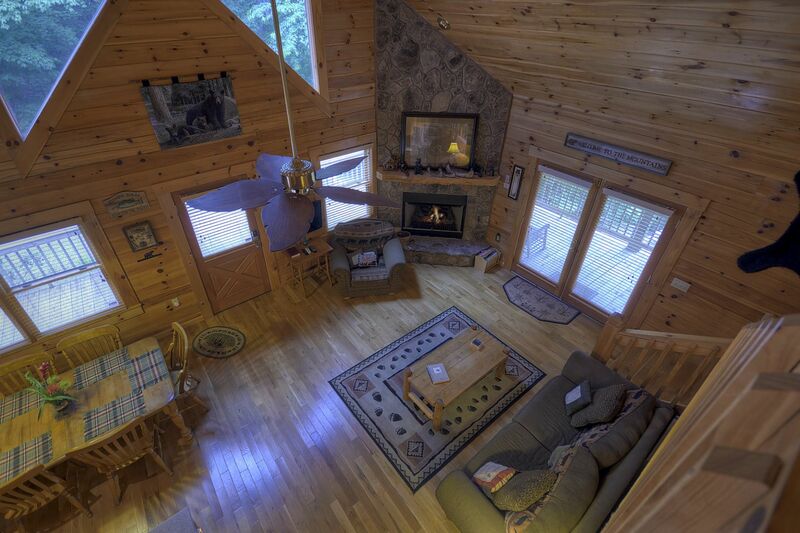 Awesome downstairs with games. Hot tub was wonderful and the fire pit made it perfect. 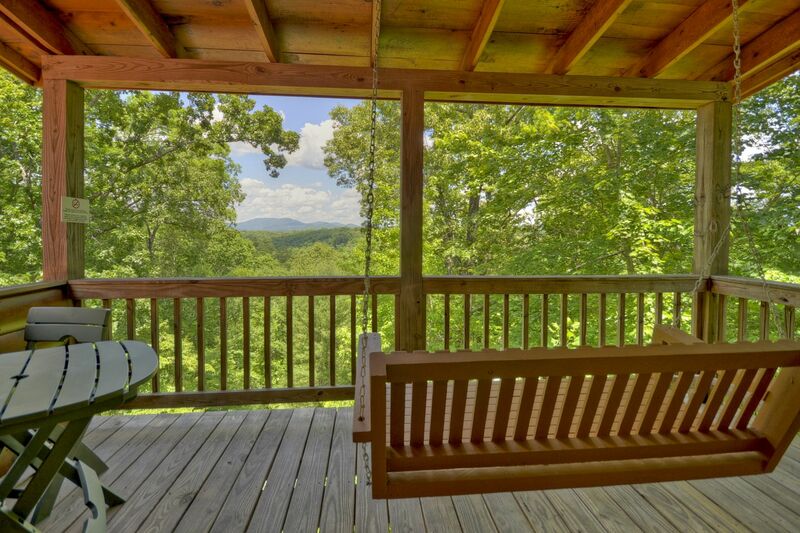 The view from the porch was amazing! 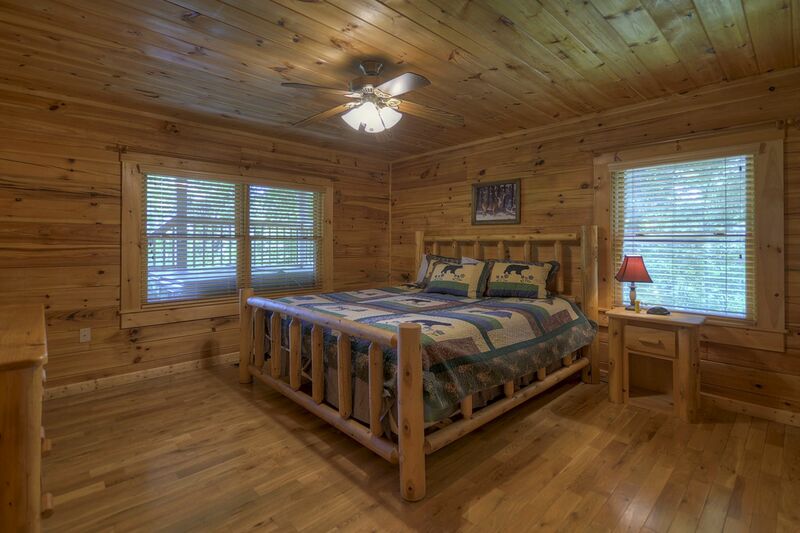 We really enjoyed being surrounded by nature while having the amenities and comforts of our own home.